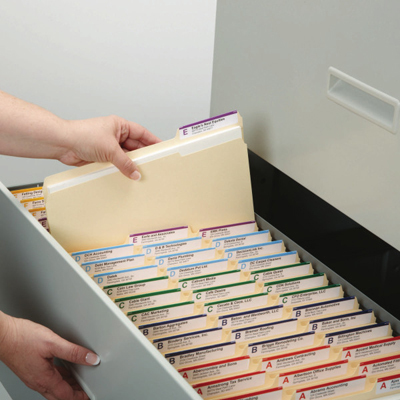 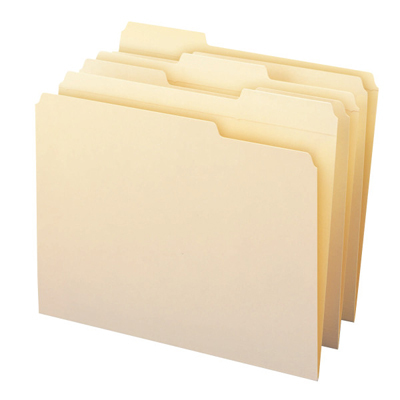 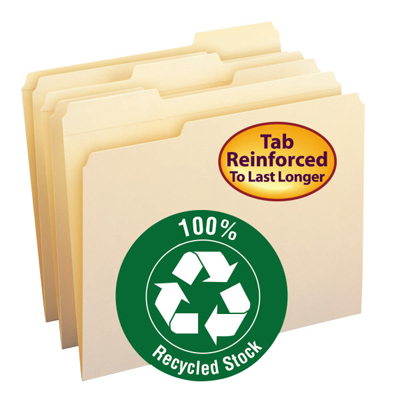 An economical and eco-friendly way to organize your files. 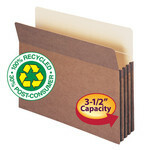 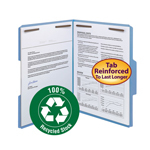 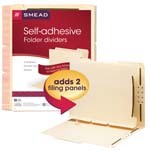 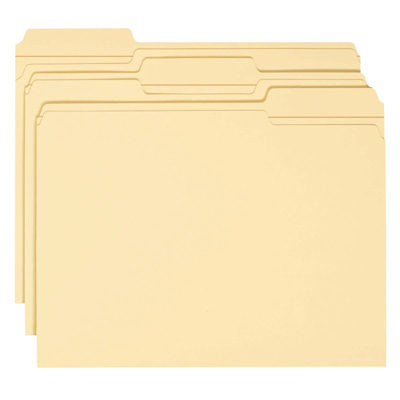 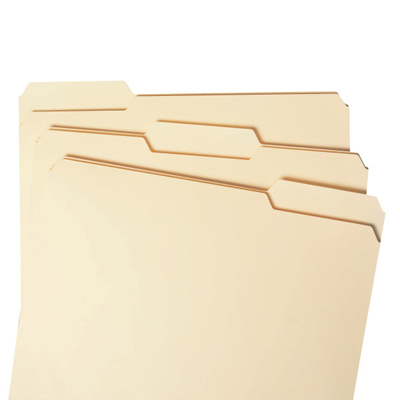 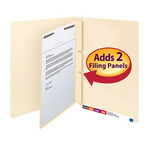 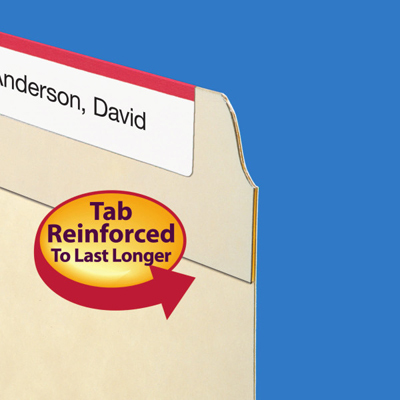 These file folders are made from 100% recycled content with 30% post-consumer material. 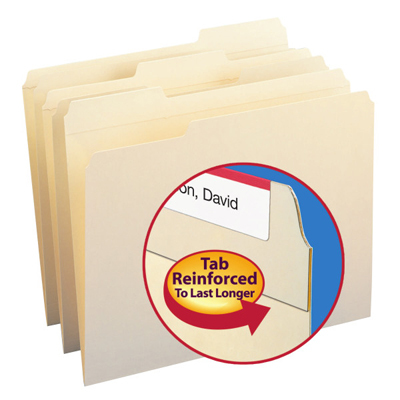 Available in a variety of tab positions to fit any vertical or lateral filing system.